To promote the enjoyment and management of Heaton Moor Park and to protect its heritage for the benefit of future generations. Since the Friends group was formed over £350,000 has been raised bringing significant improvements to the infrastructure and beauty of the park. We meet monthly to discuss funding, park management and to organise fundraising events and workdays through the year, and have been well supported over the years by our local community. 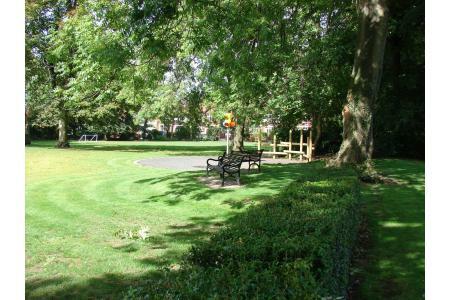 The work of the Friends of Heaton Moor Park has led to the fitting of new metal railings and gates around the perimeter of the park, development of a Toddlers Play Area, reinstatement of an all-weather tennis court and ball play area, purchase and fitting of 15 new benches and the establishment of a woodland walk. As well as these improvements the group has worked hard to enhance the horticultural status of the park through the purchase and planting of selected shrubs, plants, bulbs and trees. We hold regular workdays and events in the park, and are looking for volunteers who would help us with gardening and the organisation and running of events. Check our website and noticeboard for details of forthcoming workdays and events.